The Second Battle of Villers-Bretonneux, fought on the 24th and 25th April 1918, is most famous as the site of the first tank vs tank battle in history. However there was more to it than that. 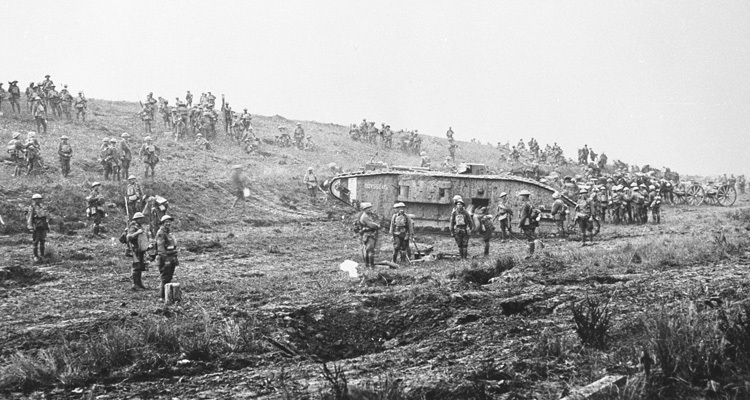 The town stood on the road to the vital British transport and logistic hub of Amiens, and this battle helped ensure it never fell. If it had, the British position on the Western Front would have been in grave danger. The Germans had almost taken the town during Operation Michael. Between the 30th March and 5th April the First Battle of Villers-Bretonneux had seen determined German attacks held off by dogged British and Australian resistance. When Michael was called off the front lines stood around 1 mile east of the town. As the line had stabilised a German salient had formed protruding to the south of Villers-Bretonneux. This extended towards the village of Cachy and the high ground between the two, which offered an excellent view towards Amiens. If the Germans could capture this ground it would allow their artillery to fire much more accurately on Amiens, and the British units and supplies moving through it. British units defending this area included the 8th and the 58th Divisions. 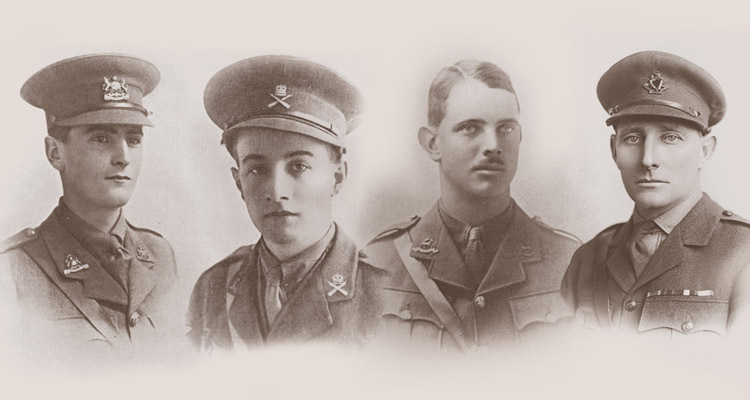 These had suffered in the face of the German attack, and many of their losses had only recently been made up with young, inexperienced conscripts. 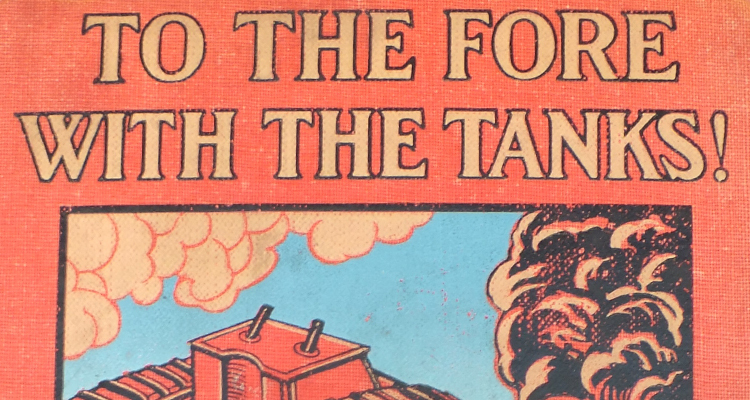 To the north was the 5th Australian Division, who hadn’t suffered as much. The German attack on Villers-Bretonneux was intended as a limited offensive that would improve their positions around the town, smoothing out the salient and capturing the high ground. Flattening the salient would eliminate a vulnerable position, and as we’ve seen, capturing the high ground would threaten Amiens. Three Divisions would take part, the 228th and 4th Guards attacking the village directly, and the 77th advancing on Cachy and the high ground in between. The battlefield was mostly rolling countryside and largely untouched by shellfire and the ravages of war. This made it ideal for the use of tanks, and the Germans deployed 14 of their A7Vs, split into three groups, one supporting each division. ‘Crossmichael’, one of the Whippets that helped hold off 77th Division. After a two and a quarter hour artillery bombardment the German attack began at 7am, on 24th April. Fog, smoke and gas served to blind the British defenders and mask the German advance. 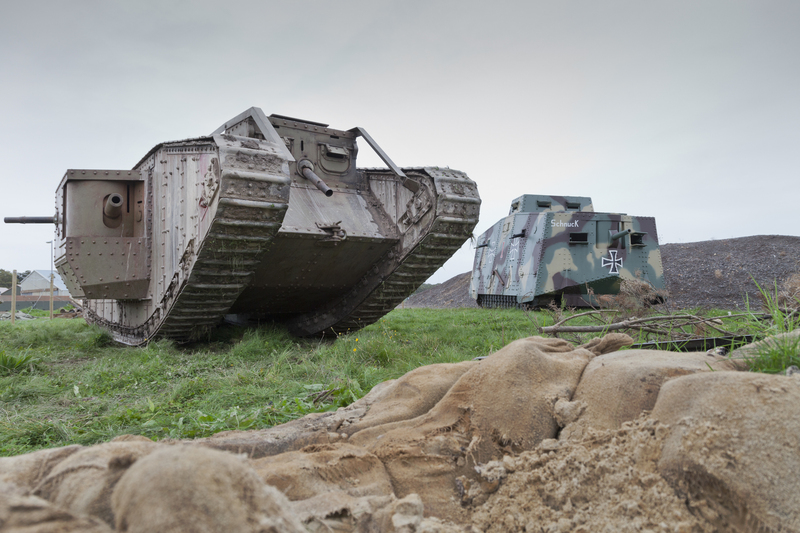 The effect of tanks appearing out of the gloom at as little as 20 metres range was stunning. 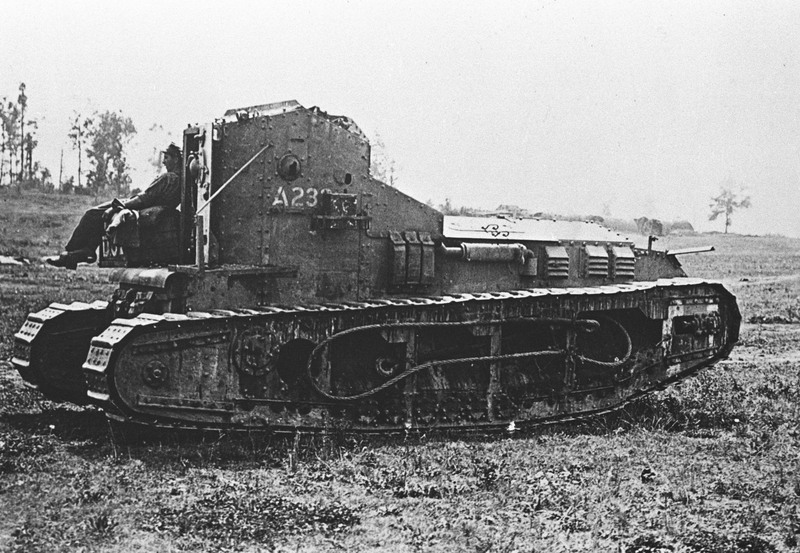 This was the first time the British defenders had faced tanks, and they were overwhelmed. 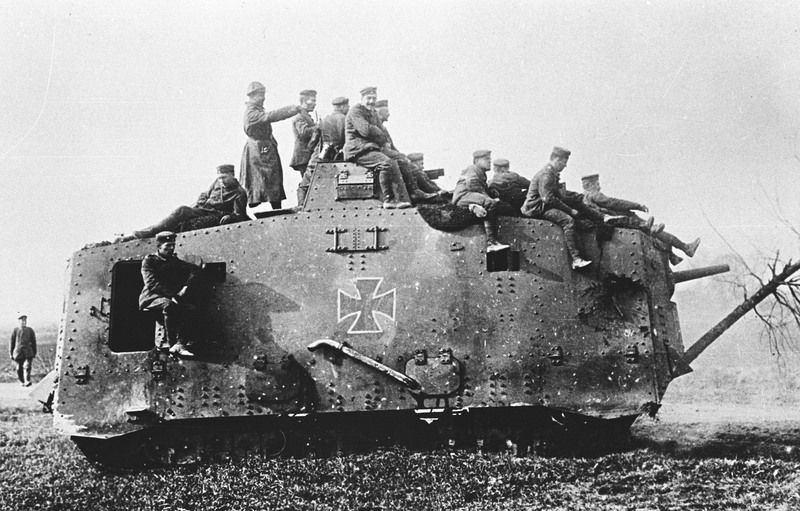 The German tank crews of Group 1, supporting the 228th Division, reached Villers-Bretonneux ahead of their infantry. They broke into the town and played a major role in destroying the British defences. Villers-Bretonneux was in German hands by around 11am. To the south 77th Division had a harder time. They were unable to capture Cachy due to fierce British resistance, which included heavy artillery fire, infantry and machine gunners and an attack by a force of 7 fast Whippet tanks. The A7Vs of Group 3, supporting this Division, were the ones to encounter Frank Mitchell and the British tanks of 1st Battalion, Tank Corps at the Bois d’Aquenne. ‘The German attack had largely petered out by the afternoon. 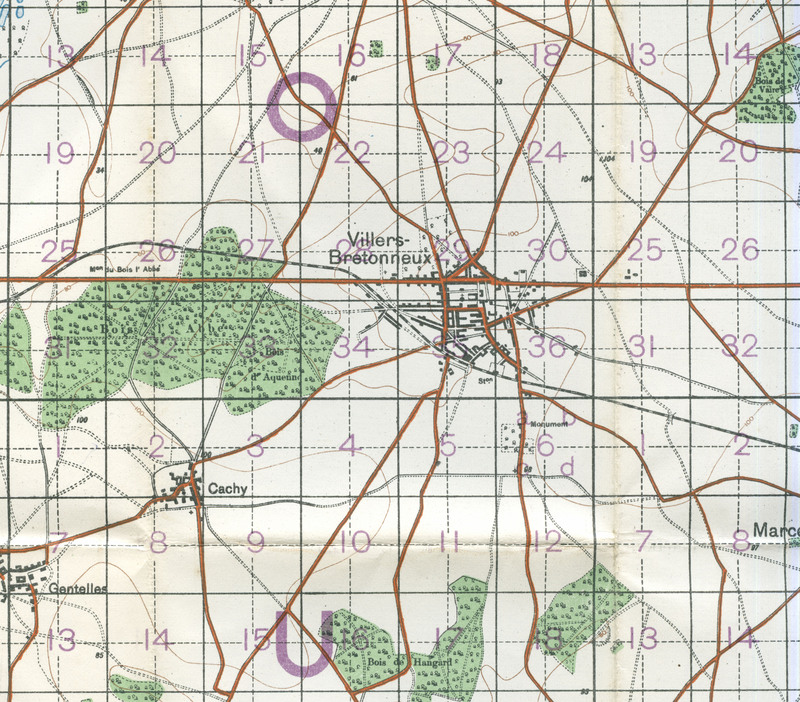 Villers-Bretonneux had fallen, but Cachy hadn’t. The British immediately began planning a counterattack. Australian forces were tasked with enveloping the town from the north and south, cutting it off. British forces would then move through the town and mop-up any remaining Germans. The attack was launched at 10pm and took place in darkness. The Australians took heavy casualties as they attempted to encircle Villers-Bretonneux. They succeeded, but many Germans were able to escape. Those that remained inflicted heavy losses on the British as they cleared the town, but it was recaptured on the 25th and the front line restored to the east of Villers-Bretonneux. Over the next few months the Australians in this area used a tactic known as ‘peaceful penetration’ to advance their front lines. 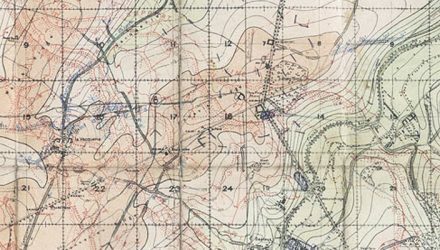 This tactic involved infiltrating past German positions in order to approach them from the rear and capture them with relatively little force and low casualties on both sides. There were three main reasons why this tactic worked. 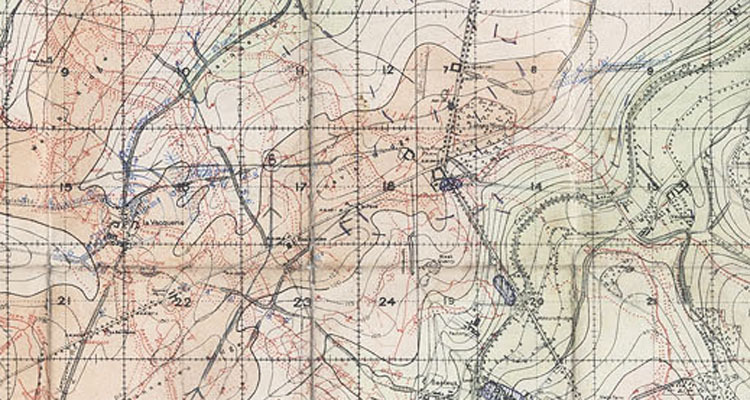 The battlefield hadn’t been heavily shelled and still offered good cover, what defences there were hadn’t been connected with barbed wire and trenches, and the morale of the German defenders was much lower than the attackers, leaving them more likely to surrender than fight once they were surrounded. 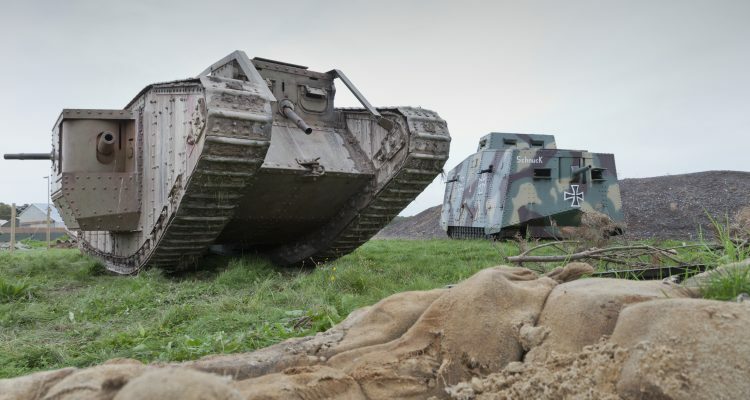 Peaceful penetration helped keep the Germans on the back foot, and played a part in restoring an offensive mindset to the Allies in this sector. This all helped set the conditions for the Battle of Amiens in early August, the beginning of the Allied offensive that won the war.